Feed your passion for Faith, Family, Fun, and Abundant Life! Live your most passionate life! 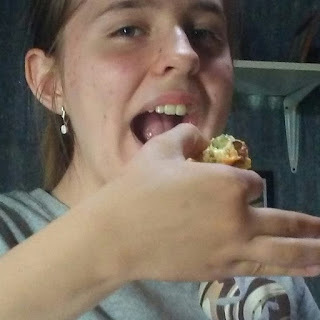 My daughter was an eager taste-tester. These were not too spicy for her. I am always looking for delicious appetizers as we love to entertain. I saw a Facebook post of some jalapeno poppers using wonton wrappers. I posted in a group I'm in for low-carb, gluten-free, tasty suggestions. What was the suggested solution? Why BACON, of course! I'm so grateful for a Facebook acquaintance who gave me the suggestion. Make these as soon as you can. You will be so glad you did! 2 large jalapenos cut into 1/8" dice, or smaller if desired, removing seeds and ribs. (optional). 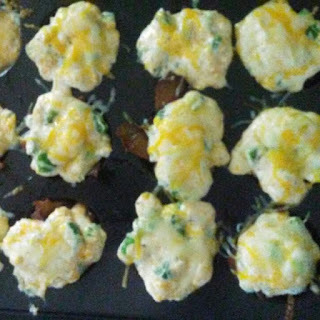 The finished Jalapeno Popper Appetizers. They are so good, they may not make it to the plate! Put 2 slices of bacon in each muffin tin to form an "x." Make sure to push pieces into the tins and that no excess hangs off the sides. Put cookie sheet on bottom rack of oven. Place muffin tin on the middle rack. Bake at 350* F for about 25 minutes. (This will vary depending on the thickness of the bacon you use. I used a medium-thick cut of bacon this time.) You want the bacon to be close to crisp for this. When cooked, pour grease into a glass or ceramic bowl to make it easier to drain the bacon without making a mess. Pour the grease into your bacon grease container. You can refrigerate to use later or continue with the recipe to enjoy now. Combine the remaining ingredients in the mixing bowl while the bacon is cooking if using immediately. You can also make ahead, cover, and refrigerate a day or two ahead. Return the muffin tin to the oven. Bake at 350* F for 15 minutes. Allow to rest for 5-10 minutes. This helps everything to hold together well to make an easier finger food. I used a fork to go around the perimeter of the popper cups to make it easier to get them out in tact. Serve as is or with a little ranch dressing on the side. Calories and fat content depend on the thickness of bacon used and if traditional cream cheese or Neufchatel is used. After my husband and I married, one of the things our younger son and I enjoyed doing together was cooking. This was the dish we made together for all the family for his high school graduation. This is one of his favorite, go-to recipes to make for friends and loved ones: Chicken Enchilada Casserole. Dutch oven or stew pot with a lid. Fill container about half full of water. Turn water in pot on high to boil. Cover pot and let boil. Preheat oven to 350 degrees (if baking the same day). When water begins to boil, reduce to medium-high heat and add frozen chicken. Cover. Set timer for 20 minutes. When it begins to boil again, reduce heat to Low and simmer for remaining time. Leave on Low until after the casserole is completely assembled. Remove chicken from broth to cutting board. Dice chicken. Use tongs to quickly (1 sec) dip the tortillas into the broth for first layer. Use ladle to take some of the broth broth with some of the tomatoes and peppers from the pot to drizzle over the mixture. This will slightly melt the cheese. Dip last layer of tortillas in broth. Drizzle broth including some tomatoes and peppers over the top. If possible, let sit in the refrigerator overnight. Bake in 350 oven for 30 minutes. Let rest for 10 minutes after baking. Top the enchiladas with cilantro, sour cream, or jalapenos, if desired. Slice and serve. with fresh cilantro and / or sour cream as desired. Critical Data Hack - Were You Exposed? According to MSN's Money web site, over 770 million email accounts have been breached along with passwords. I personally have followed the link to find that some of my information, was among some of the largest leaks and one was critical. I am taking action and changing account information on those that have been compromised immediately. I highly recommend using the insights they provided to find if your data was leaked and from where so you can also take corrective measures right away. To find out if your email address and/or password were hacked, go to: https://haveibeenpwned.com/. This page lets you check your email address first. Next, you can select the tab "Passwords" to find out if your passwords were compromised. If you find that your data was leaked, you can scroll down a bit and discover from where it was leaked and what level of information was included in the leak. It could be simply an email address or worse, an email address with a password, or other more serious information like address, family information, and so forth. To give you an idea of if you might been part of a leak, if you had any of the following types of accounts: Bitly, Disqus, Forbes, LinkedIn, and more. However, the leak referred to in this instance with the 770 million plus accounts exposed is called Collection #1. This leak is an compilation of over 2000 previous leaks. If your passwords were compromised, change them to very strong passwords immediately and don't reuse the compromised passwords for anything. If your email address was compromised, find a new one and treat it like you would if you had to change your phone number: Contact those people who need to contact you and give them your new information and omit the others. Write your passwords for your accounts in a book that you keep in a safe or safe deposit box. This way you know what they are. Paper in your home safe or in a bank's safe deposit box cannot be hacked. (If someone did break in to either to steal information, you would also know right away unlike with hacked data.) Doing this is also important should anything happen and you were to die so that your family can get all your accounts squared away that need to be. I cannot recommend the password managers recommended on this site as I do not have enough information about them. 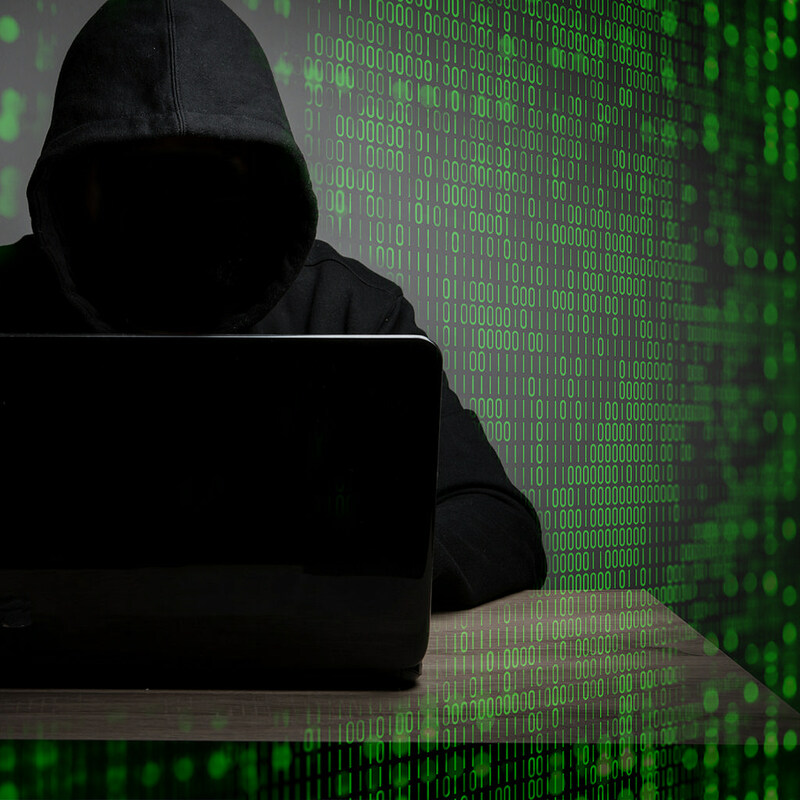 Furthermore, Any online that can store your password can ultimately be hacked - and those that are known to store crucial information of that sort are the ones most likely to be targeted by hackers. 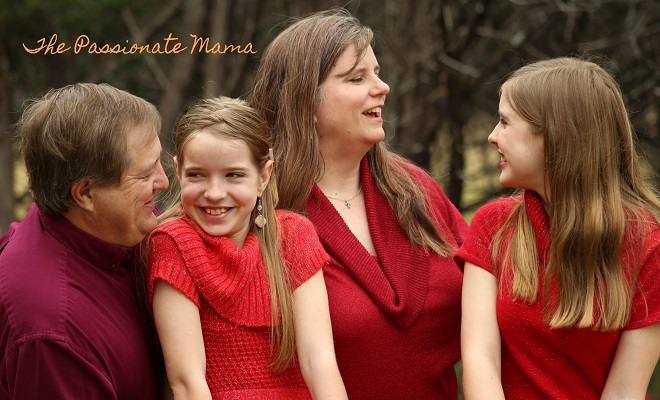 There are days when we, as homeschoolers, wonder if we are doing the right thing. We each have a time when we re-evaluate this choice for any number of reasons. Sometimes it’s just a hard day. Sometimes it is a hard season in life. I want to encourage you in this journey. We do this because we love our children more than anyone else does and even though they push us, that “pushing” results in growth in us. We grow in patience, kindness, meekness (strength under control – God’s control), mercy, forgiveness, and the ability to confess our failures and shortcomings as examples to our children when we do not exhibit these fruits. Our children are God’s instruments to help us grow in knowledge, understanding and love for Him. This is just what we do for our children. Just as we "push" (challenge) them to try new things, not give up on hard things, be diligent, thorough, work on communication skills, learn life skills, do jobs completely rather than half-way, integrity, honesty, compassion - so much more than reading, 'riting, and 'rithmetic. We are creating people who will be kingdom people even as we strive for that goal ourselves each day. 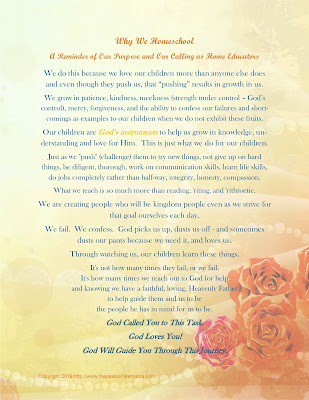 We fail, we confess, God picks us up, dusts us off - and sometimes dusts our pants because we need it, and loves us - and through watching us, our children learn these things. Are You Set for Emergencies? In the past week, the Southeast has endured a hurricane - some people experiencing additional flooding while having not recovered from the previous hurricane. Here in Central Texas, we are getting water logged with flooding and suddenly cold temperatures - from the mid-90's to mid-40's, while the northwestern part of Texas is already getting near-freezing temperatures for the highs. Nonetheless, we took inventory of bug-out-bags. The girls have grown and the temperatures have dropped, so it was time to make sure we had clothes that fit for the right season, We also checked key emergency supplies and verified that the snacks are still in good shape. We did know more rain and much colder temperatures were coming before they hit Monday. Hopefully everyone took note and got their firewood in. The flooding was not quite expected, however. We are on alert for roads and bridges to flood. Many areas have low-water crossings that flood easily. Even so, one of the main rivers through the county may crest at 30' today - which will close some major roads, limiting access to communities. It is a good time to remember to have plenty of food on hand to last a couple of weeks or more for everyone - especially things that can be prepared without electricity should the power go out. Also, check to make sure that everyone has enough medicine on hand should roads but cut off due to flooding or snow. Some people also experienced phone and Internet outages with AT&T's outage on Monday. If you are not currently signed up to get emergency alerts, do check with your local emergency management service to make sure you can receive alerts on your phone and emails. Check your supplies and be safe. One of the things I love most about homeschooling is re-learning the science or history I learned incorrectly in school. I knew in fifth grade that not everything they taught in school or that my teacher said was always the truth after Mt. St. Helens blew and there were several aspects of that eruption that did not match with what was taught. For example, that it took millions of years to petrify trees, and some other misinformation regarding mountain formation. There were things I went to research to tell the girls for history that I had been taught - only to find those things totally untrue. If we are willing to learn, we continue to learn and grow, and sometimes have to unlearn. For example, not only did Marie Antoinette not say, "Let them eat cake," she was not referring to the first, burned loaf of bread from the oven, and she did not say, "Let them eat brioche." The phrase was one penned by Rousseau in Confessions when Marie Antoinnette was only nine and published later when she was twenty-six, eleven years before her demise. There are things I teach my girls at young ages telling them, "I don't expect you to remember this exactly, but just to plant a seed so that when you are exposed to this later, you'll have some recollection of it so it is easier to grasp when you are older rather than it being a totally new concept." They appreciate that they get to learn some new things that they don't have to memorize or be tested on at the time, but that they get to experience and experiment with at a younger age for fun. Some people struggle with spelling. I struggle with dates - especially battles in wars. As an adult, I had new books I could read that I didn't know about in school, new media available to help present the history in a new way, etc. These things gave me a fuller picture of history than I had in school. Textbooks can only teach so much, it takes experience and practice and immersion to learn many things. What things are most important depend on what one's goals are. This cemetery in Georgia was important in the Civil War. I didn't know anything about it until my husband's uncle was interred there. If we succeed in generating a love of learning, the learning won't end with us. If we succeed in teaching diligence and discipline, their continued ability to apply themselves to learn those things they need for their career or just for a hobby and enjoyment will propel their success. If we succeed in giving them a can-do attitude - or at least a willingness to try new things attitude - they will grow and have new experiences that add to their quality of life and to the depth of the person they are. I am honored to be a guest tonight at 7:00 pm CST on Scott M. Terry's "North Country Farmer" radio show, even though I am in the south. :-) To listen in tonight or listen later, go to: http://www.blogtalkradio.com/christian-farm-and-homesteadNorth Country Farmer Radio Show. "Homesteading mistakes: Yeah, we've made a few" a la Queen's "We Are the Champions" theme in my head as I write this. I hope you join in - or listen later if you can't tonight. What topic are you most interested in today? 2016-2018. Picture Window theme. Powered by Blogger.